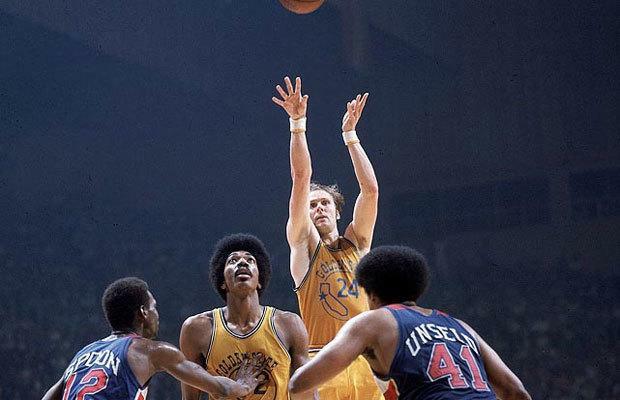 so the 70s are great and this is the only time in nba history that was not dynastic in any way. post-russell celtics, pre-80s (celts v lakes, pistons), 90s (bulls, rockets), 00s (lakers and spurs), 10s (warriors and bron teams). not a single back-to-back champion. there are five teams whose only championship(s) are during this decade. WILD AF. anyway, "which is the raddest?" is the correct question. agree. they played with joy and abandon. next season they ran roughshod over the league up until Bill Walton's foot fell off. good poll! going with the blazers. the 72 lakers were pretty wild and fun tho. kinda want to be contrarian and pick the bucks. Sonics and Bucks are worthy choices, too. Downtown Freddie Brown was the Steph Curry of his day.